Running Press Kids, 9780762455874, 40pp. Smiljana Coh studied animation at the Academy of Fine Arts in Zagreb, Croatia. She is the author and illustrator of over four books for children, including Princesses on the Run. Living in Varaždin with her husband and children, she spends her time writing and illustrating. Visit her online at cohillustration.com. "[a] lovely example of multiethnicity and blended families in a fairy-tale formatexactly what you might hope to expect from a book that begins with Once upon a colorful kingdom." "[a] delightfully fresh, rainbow-themed illustrated story about themes of celebrating differences, or diversity. 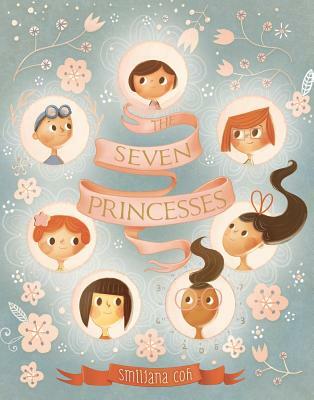 "The Seven Princesses" is an artistic, sensitively interpreted rendition of a tale of sibling love celebration that will delight current audiences from ages 4-8."